There is a lot of valid industry specific information here. But the student loan situation does not only apply to visual effects. Can you name some examples of the institutions you are referring to? Many respected universities are for profit, and if someone goes to UC Berkeley for example, there is still going to be debt. I'm going to add more reference links to this post so people can see what's going on. Your article reflects many valid points. The problems are not just happening around VFX industry but more generally, in all CG related industries. I was lucky to be able to moonlight a few full time animation jobs in the course of 10+ years and it was a good career in the late 90s, but I always kept a second career open since I was seeing the industry exploited not just inexperienced graduates but also experienced talents. Like you mention, it is not difficult to work out the future by monitoring the older one in the industry. I think we just got too many artists who are willing to work for passion, and put their family or future second. People in CG do need to move around to where works are and mind you, the relocation benefit varies according to studio / project. I used to question how many countries we will go & live and for how long. Definitely it is fun when you "think" that traveling or working aboard is good but forever, during your career?? & leaving your life style for 3rd world countries?? My advice is please please please have 2 careers in parallel, even though you are dead on working for passion, for free and for long hours. Many of my friends in the industry had to sacrifice a lot & many did manage a good life style like me and people in other trade. To be honest, I make much better money outside CG but of course, I will return to my passion provided that the project is challenging and I am not being exploited by the industry. That article "VFX in Los Angeles – 100 hour weeks & homeless" is misleading. The choices he made were irrational. You can't blame the industry the way it is. Just cause you go to a school and graduate from it doesn't mean you're guaranteed a job. No industry is like that. Do you homework before you apply for the school. I went in one of those schools listed and finished. Worked hard, moved up, and in 5 years paid my student loans off. Faster than my friends in Universities who still have at least 10 years to go on their loans. Don't just go and spend your college funds blindly. Know what they specialize in. I've met people who are talented and not talented.. and they do just fine. Just be smart in how you approach the industry. i totally agree withh the article. i am an indian. i did my VFX course after passing 12th. nowdays Animation schools are spreading here in villages too like mushrooms!! everyday they print eye catching articles gloryfying the future of animation industry in india and attracting students!! but being in the field myself i know the truth that here there is limited job opportunity. students hav outnumbered job vaccancy and animation schools care only about there fees and no of admissions starting various crash course offers every week. for freshers jobs r being offered at only Rs7000 per month!! above that you have to pay a deposit of around Rs 50000 to the company for a year contract in big companies like Prime focus. salary of Rs7000 only... whereas here a car driver gets salary of 12000 per month without investing a single rupee in any school.. a gatekeeper gets Rs10000 per month. it sounds pathetic that calling it a creative field there is no value for the talent. apart from that job timings are too harsh and you are often asked to stay in office over night to finish the job without any extra pay or even dinner arrangments!! 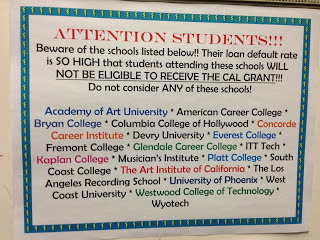 I wanted to mention to everyone, ALL the Art Institutes are predatory. They all are $70+ for a degree and most of them provide very poor education. I've heard horror stories from the Art institute in Denver, Chicago, etc. all over the country. They are all crooked. 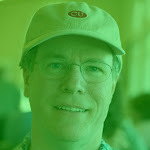 Hi Scott, I'm so glad to have found your blog. I'm an industrial designer (graduated 2years) and I've always been a concept artist at heart so I planned to attend Vancouver Film School this summer for 3D Animation & Visual Effects. I'm passionate about design sketching and doing concept vehicles, environments, props, etc, but 3D modelling with ZBrush, Maya, and compositing VFX is not something I am familiar with. I understand that there are probably more concept artists out there than 3D modellers and VFX artists since concept art existed much longer ago. Would you think it's a smarter and more life stable idea to stick with industrial design and just practice concept art on my own, hoping to one day have an exceptional concept art portfolio to apply for a job? Projects employ more 3D artists and many other vfx positions that concept artists. Concept artists work in a range of mediums and may or may not have 3D skills. I know a number that use SketchUp and similar tools who don't know Maya, compositing, etc. Their main tools are Photoshop and painter along with traditional mediums. So don't feel you have to go to a vfx school. Now knowing more such as 3D modeling with z-brush isn't a bad idea and could make you more valuable in the long run but that's up to you and may not require attending a full school since there are online classes and other resources such as books and videos. You might explore those first before plunking down a lot of money for long classes. Science Fiction and Fantasy projects tend to employ the most concept artists of course. On projects like Avatar and Hell Boy they'll employ 6-12 people with many assigned a specific area - weapons, vehicles, sets, etc. I would suggest looking at the different behind the scenes or art of x project books to get an idea of the type of work. If you can achieve that to the level shown then you're ready to start. Many of the artists have their own web sites so I would check those out as well. Most these days are hired directly by the production and not the vfx company. A few vfx companies still have some artists on staff including ILM. There's probably not a lot of posted jobs for these positions. Many of the artists do other types of art/design projects or teach so they're not 100% dependent on the whims of production to earn a living.